Drawing her inspiration from across the globe, she has created an irresistible collection of recipes for desserts and sweet treats, arranged around her favourite flavours; the subtle notes of coffee and tea; the intensity of caramel, honey and maple syrup; the refreshing tang of berries and summers fruits; the sharpness of citrus – and, of course, the complexity of chocolate. Imagine yourself in Paris with pine nut, almond and sour cherry tart, travel to the Middle East with sweet saffron and cardamom-scented yoghurt, take a trip to Sicily with lemon cassata semifreddo, or simply enjoy the bounty of an Australian summer with mango, passionfruit and mascarpone trifle. On grey days, seek solace in pear and maple syrup crumble or rhubarb and white chocolate tartlets. And let’s face it, no excuse is ever needed to indulge in a slice of black velvet chocolate tart or a pistachio meringue with green tea cream. With Belinda’s Desserts in your kitchen, you’ll always have the perfect ending to any meal. There are many ways to compliment cookbook authors: food-smeared pages for one, and several of their books on your bookshelf. But the greatest compliment has to be the taking to heart of a recipe that has worked – and worked well. All around the country, cooks pay these compliments and more to Belinda Jeffery. She has a wonderful knack of creating recipes for food that you want to cook over and over again, and a warm, distinctive writing style. 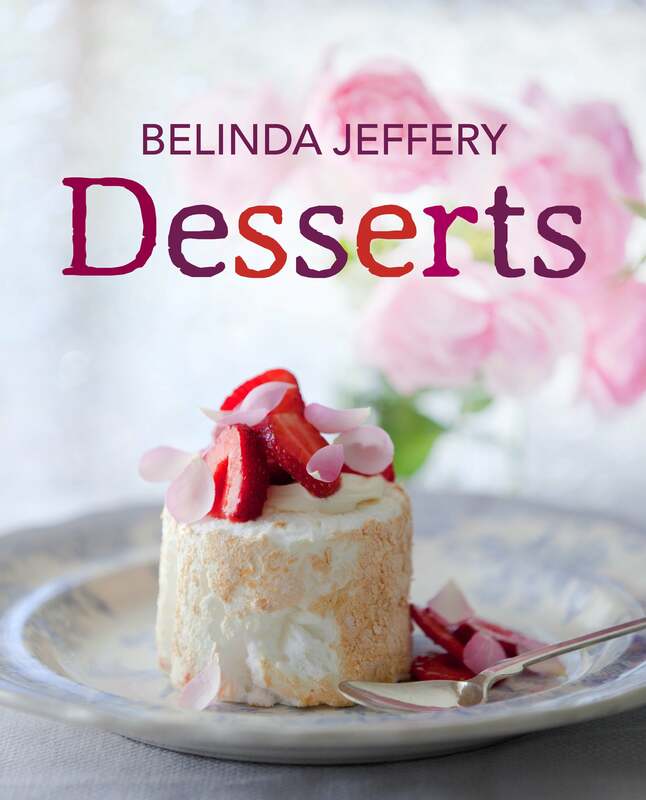 An award-winning author, Belinda has worked as a chef, TV food presenter, freelance writer, restaurant reviewer and cooking teacher. 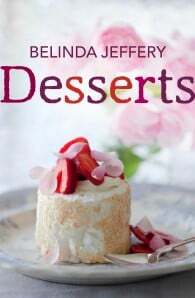 Her books include Belinda Jeffery's Collected Recipes (a compilation of her first two books, Belinda Jeffery's 100 Favourite Recipes and Belinda Jeffery's Tried-and-True Recipes); Mix & Bake; The Country Cookbook (all about living and cooking in the Byron area), and Desserts.